black|Up is revolutionising contouring with this double-ended stick: 2 products in 1! The Contouring Stick is THE easy-to-use, must-have product to create a play of light and shadow worthy of a pro. Love the feel of this stick this will be my second one. It's one of my favs .it comes on so creamy and it dont take much ,I dont like heavy contouring so this is great ideal stick. Simply the best. My skin has not looked this good in a very very very very long time. My pores are nearly invisible. My skin looks airbrushed in real time. It complements my skin so well. This was truly made for black women. It was made for us. It was designed for our type of tones and textures. I am so grateful to Blackup for this. Please do not stop. I like the creamy-ness. 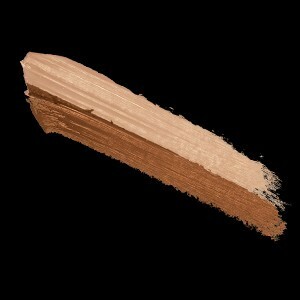 I used shade 5, but the contour end wasn't dark enough and could double as a foundation after this long summer. But it gives my face a great, smooth look. I can't give 5 stars because this transfers LIKE CRAZY. Can't do a thing without it coming off on my fingers, tissue, or t-shirt. Turned my dry skin oily.